SIRPAUL™ Live at Rockbar NYC Saturday, July 23rd at 10:30!!! 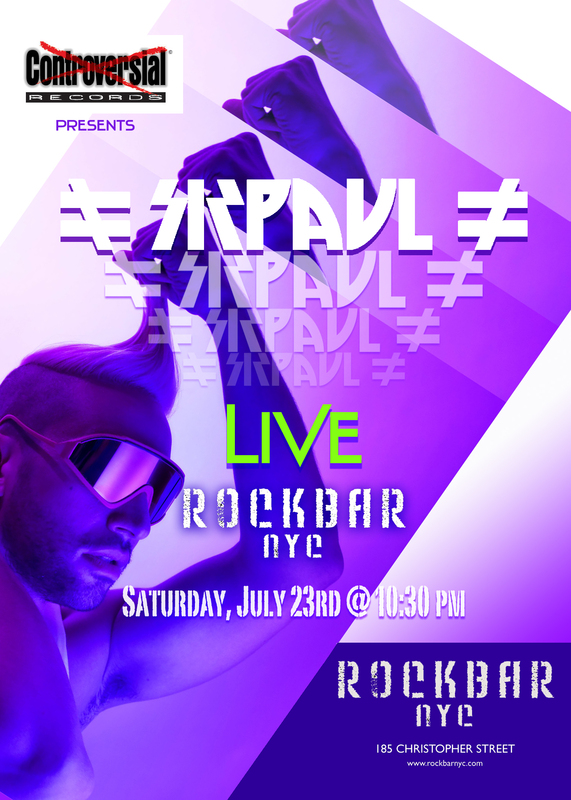 Following in the footsteps of some of the hottest performers such as Peaches & Oh Land, SIRPAUL will be performing LIVE Saturday, July 23rd at 1opm at Rockbar NYC (185 Christopher Street). Get ready to hear a high energy dance set of all of the hit singles: Music & Me, Do U, Objectified, Mistaken, Give it Up, Going Down in La-La Land & more!!! New SIRPAUL “Mistaken” – The White Label EP (feat. Candy Apple Blue) available on iTunes 1/3/12!! !